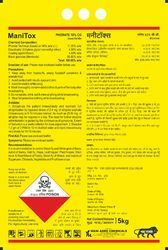 Authorized Wholesale Dealer of a wide range of products which include triazophos 40% ec, profenofos 40 cypermethrin 4 ec, glyphosate 41% sl, emamectin benzoate 5% sg, lambdacyhalothrin 5% ec and buprofezin 25% sc. 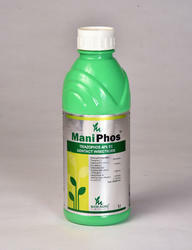 ManiPhos is a broad spectrum contact insecticide controls boll worms, sucking insects on cotton, tea, oilseeds etc. 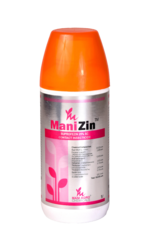 It controls Aphids, thrips, midges, beetles, larvaes, cutworms, and other soil insects, spidermites, other types of mites in ornamentals, vegetables,vines, bananas, strawberries, oilseeds, cereals, sugarbeets, sugarcanes,maize, soybeans,coffee, grasslands.It is to be used in accordance with climatic condition and approval of local authorities. 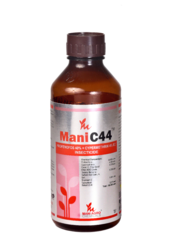 ManiC44 is a combination insecticide of organophosphorus and synthetic pyrethriod group. 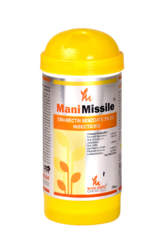 Impact offers strong stomach and contact action on insect pests, and it has strong knock down effect. Impact is not pnytotoxic when used as per recommended dosages. It is generally used in TEA Plantation in India. 2 to 3 ltr in 450 ltr water. Emamectin Benzoateis a non-systemic insecticide which penetrates leaf tissues by trans-laminar movement It is a multipurpose world renowned soluble granular insecticide which gives effective control of caterpillars by its contact and stomach poison action. Recommended Crops - Grapes,Mango, Cotton, Rice, Chillies. Target Pests - Meaty Bugs, Hoppers, Whiteflies, Aphid, Jassids, Thrips, Brown plant hopper, Green leafhopper, White backed planthopper, Yellow mite. Packings 1 liter, SOO ml, 250 ml. Pest¿¿Aphids, iassids, Thrips, Whited), bollworm, Complex, Hispa, Leaf roller, Steam borer, Pod borer, Cutworm. Blackhog. Pyrile, Grey Weevil, Shoot Si Fruit borer, Diamond Black moth, Leaf hopper. Mealy bug. 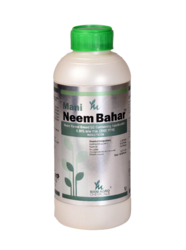 Neem pesticide is a natural product, absolutely¿¿non toxic, 100% biodegradable¿¿and eco friendly. 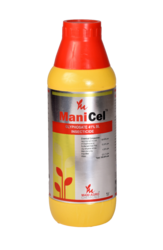 It is also suitable for mixing with other synthetic pesticide to¿¿enhances their action. Several synthetic pesticides being single chemical compounds cause easy development of resistant species of pests. Neem consists of several compounds hence¿¿development of resistance is impossible. Neem is¿¿harmless¿¿to non target and beneficial organisms like¿¿pollinators, honey bees, mammalsand other vertebrates. 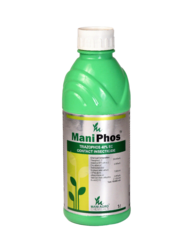 ManiPhos is a broad spectrum contact insecticide controls boll worms, sucking insects, cotton, tea, oilseeds etc. 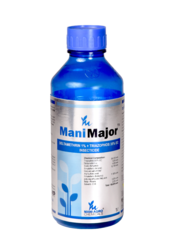 It controls Aphids, thrips, midges, beetles, larvaes, cutworms, and other soil insects, spidermites, other types of mites, etc in ornamentals, vegetables,vines, bananas, strawberries, oilseeds, cereals, sugarbeets, sugarcanes,maize, soybeans,coffee, grasslands.It is to be used in accordance with climatic condition and approval of local authorities. 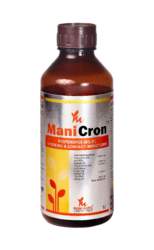 New generation insecticide which provides stable control of BPH. It is an insect growth regulator (IGR). It acts by inhabiting chitin biosynthesis. It inhabits molting of nymphs. For making Milky White , Stable, Thick, Viscous and Cost Effective Emulsion of Nitrobenzene 20%, 35% & 50%. 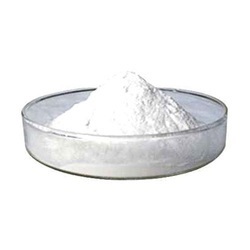 It is milky white in color, thick, stable and viscous and is easily dispersible in water for foliar applications. 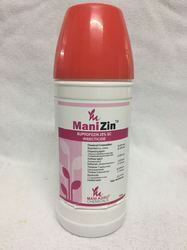 It is made available in a market leading price and is non-toxic.